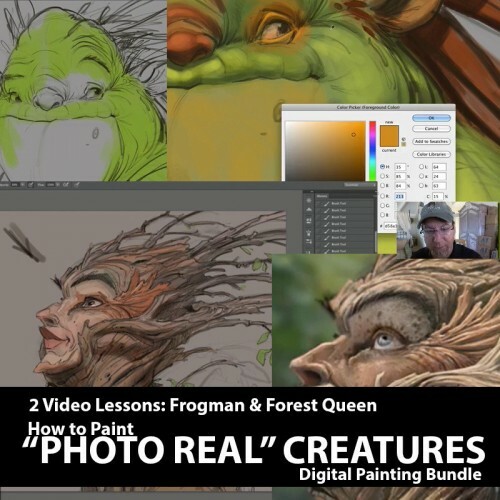 Learn from master animator, illustrator and concept artist Aaron Blaise as he takes you through two video tutorial on how to paint "photo real" creatures in Photoshop. Aaron takes you through his tips & techniques to character design, lighting and more. Runtime: 1 Hour, 11 Min. Runtime: 1 Hour, 8 Min.